Can I send an email towards a contact who clicked on a particular link inside my newsletter campaign? Can I create drip campaigns? 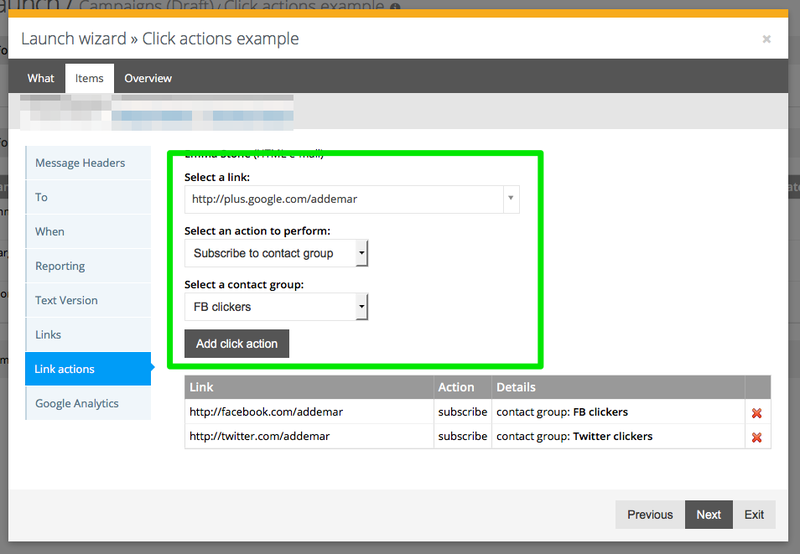 We have created link actions which allow you to define trigger actions upon contact behaviour. For example, based upon a click upon a link inside your initial newsletter a new email can be send to your contacts. 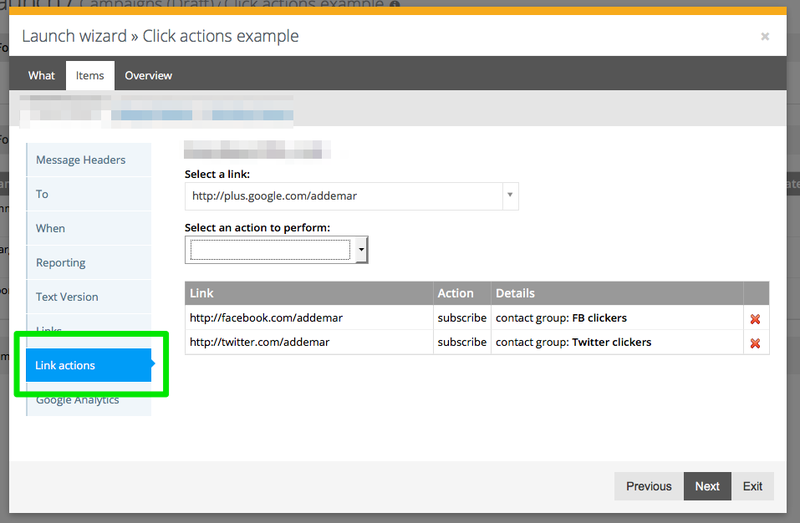 We have created LINK ACTIONS which can be defined while launching your campaign. 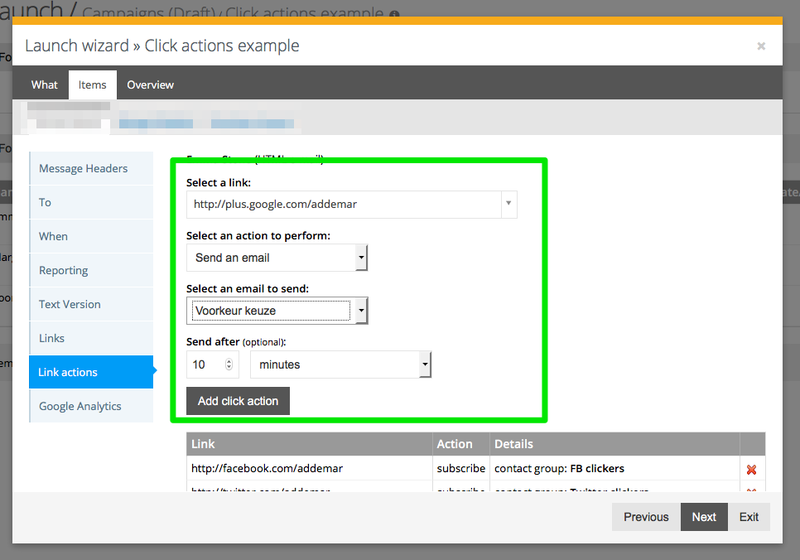 We only allow campaigns to be used which are part of the same campaign folder while using the send an email link action. 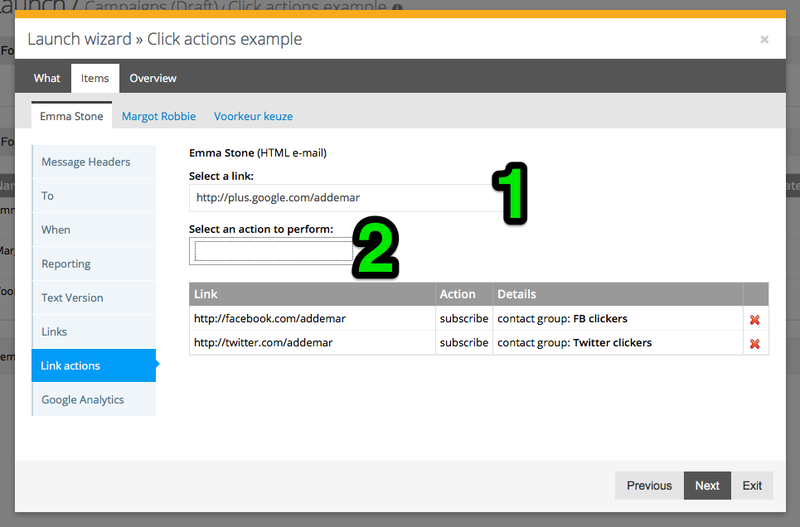 In the following example we explain the following click actions. 1. When a contact clicks on a certain link we send an email to that contact 10 minutes after he has clicked with more information concerning this link. 2. Everyone who clicks on the facebook link will be added to the FaceBook ( FB clickers ) contact group.